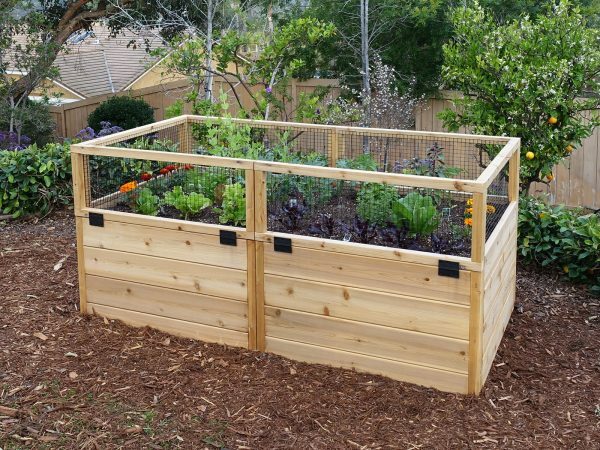 Our 3’x6′ Raised Garden beds make a perfect addition to any yard, large or small. 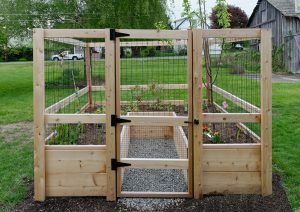 The hinged fold-down fencing helps protect your garden from dogs and rabbits and allows for easy access to plants and soil. 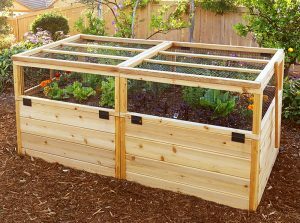 Delivery Speed Delivered within two weeks for most of the year, but from late March through May, delivery can take up to 4 weeks. 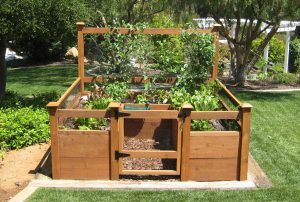 Contact us for an estimate. Delivered within two weeks throughout the year. 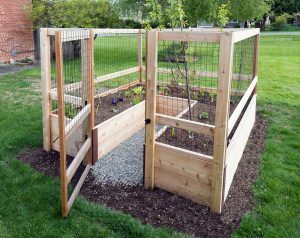 Optional lid can be raised to serve as a 5'11" high trellis, which is ideal for vining plants such as peas and beans.